Munich - Fortuna Düsseldorf and VfL Wolfsburg meet for the first time in the Bundesliga this Saturday, while Thomas Schaaf's four-star Werder Bremen travel to Greuther Fürth and 1. FSV Mainz 05 entertain 1899 Hoffenheim on another seam-busting afternoon of Bundesliga action ahead (kick-offs all 15:30 CET). After leaking a handsome five goals in Matchday 8's drubbing at the hands of Bayern Munich, wounded Fortuna Düsseldorf find themselves whiling away in eleventh spot going into Saturday's fixture, the lowest Norbert Meier's troops have been all season. That result also prolonged their winless start to the season at home. Indeed, their only victories so far this term have each come on the road. 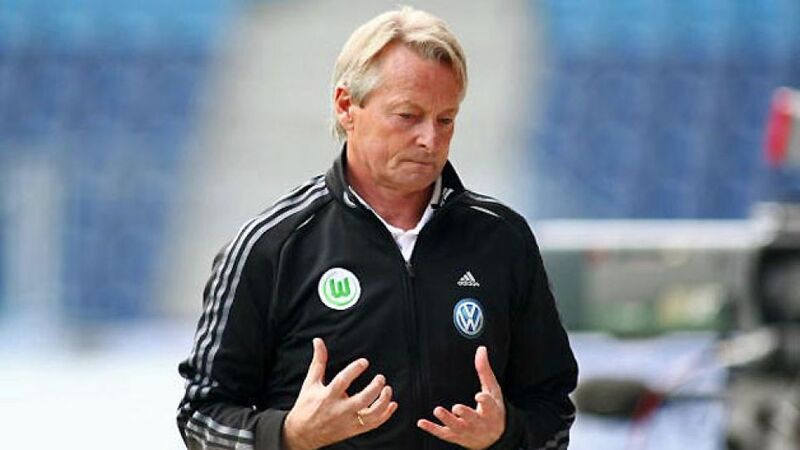 Also licking their wounds after dropping to bottom of the table and parting ways with Felix Magath, Wolfsburg's fate, for the time being at least, lies with interim coach Lorenz-Günther Köstner. "The situation was really difficult [...] we have to accept the decision," said goalkeeper and captain Diego Benaglio following news of Magath's departure. The 2009 champions have managed just a single win all season. There seems to be plenty of fire in Fürth's bellies after all, at least on the evidence of last week's defeat-defying efforts away at 1899 Hoffenheim. Although marooned in the bottom two after eight matches, Fürth's 'cup final' display will have given the Trolli Arena faithful something to cling to, as their side chase a first home goal and win of the campaign. "When we play this [aggressively], we'll get our reward," said Büskens. Werder Bremen last met Fürth back in the 2003/04 DFB Cup at the quarter-final stage, winning 2-0. A similar success this time round is by no means out of the question either, given the Green-Whites' four-star win over Borussia Mönchengladbach last time out. Nonetheless coach Thomas Schaaf is braced for another tough assignment in Bavaria: "From beginning to end, Fürth play with enthusiasm and the will to win." "It would be stupid to get carried away being eighth in the table," affirmed Mainz 05 coach Thomas Tuchel in reference to the three points that separate his side and 15th-placed 1. FC Nuremberg. The 05ers progress has been steady if nothing else so far this season and their Matchday 8 draw in Leverkusen just goes to show how unpredictable they can be. "You can never be sure what you're going to get [against Mainz]," said Hoffenheim coach Markus Babbel, whose 14th-placed Hoffenheim side are similarly hard to gauge. The Sinsheim club had been showing the green shoots of recovery with Matchday 4 and 5 wins over Hannover 96 and VfB Stuttgart respectively, but have since amassed just one point from their last three outings. French defender Matthieu Delpierre (thigh) could miss out, but Daniel Williams is available after suspension.